On Saturday I presented a paper at the 2014 Popular Culture Association/American Culture Association annual conference (on what ended up being quite a solid panel with my fellow tattoo-scholar friends Amelia Klem Osterud and Nick Schonberger and a sociologist Derek Roberts who we hadn’t met before but who is doing some interesting work). It’s not the kind of paper that I would ever publish in a journal, but I thought I’d archive a slightly revised version of it here. I think I offer a useful critique of some of the recent editorial media pieces about tattooing as well as some helpful guidelines at the end for anyone authoring tattoo writing. I also didn’t get to present the entire paper because, well, perhaps I tend to ramble on a bit…so this is a way to get it all out there. In the process of doing research for this paper, I mined a significant amount of my personal history with tattooing, and that caused me to dredge up some amusing photos that documented my early years as a collector (and scholar). Me getting my first sleeve finished in 1993. The artist is my art-school friend Forrest Curl (working at River City Tattoo in Austin, TX…a long way from Providence, RI, where he had started tattooing me). A couple days later he started the other sleeve and finished it within a few months in my apartment in Chicago. Tracking the origins of tattoo-history myths is a favorite pastime of mine. So many abound and continually get perpetuated. A recent thread on my personal Facebook page (posted to public so you can read it here) had a number of excellent scholars weigh in on the oft-cited (but never properly documented) assertion that “the church” or “the pope” banned tattooing (sometimes discussed as all tattooing and sometimes discussed as “pagan” tattooing) in the 8th century with a date of 787 and Pope Hadrian commonly cited. I promise a more detailed post about this soon, but a follow up to that thread today reminded me that I have some ready-to-go unpublished material from my dissertation, Tattooed Transculturites: Western Expatriates Among Amerindian and Pacific Islander Societies, 1500-1900 (University of Chicago, 2012), about what I call the “Cook Myth”–that modern Western tattooing has its roots in Captain James Cook and company’s visits to Polynesia in the late 18th century. 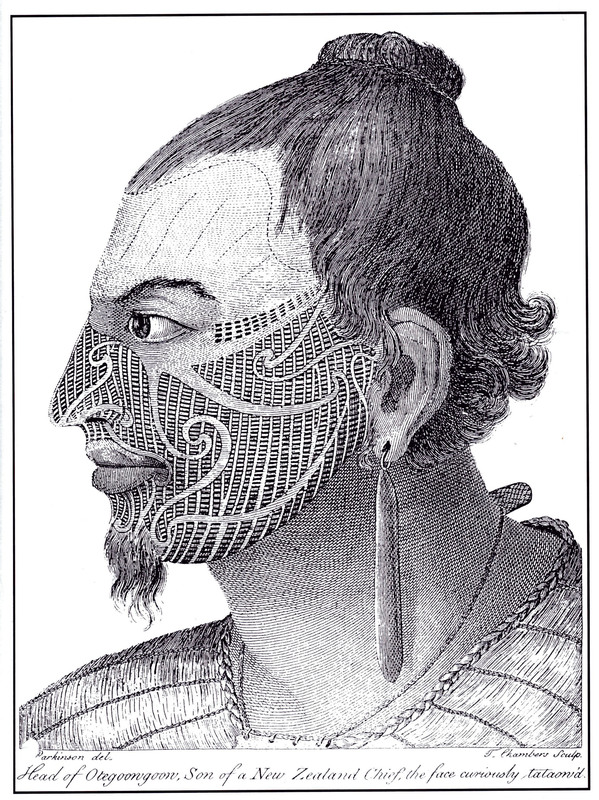 Polynesian roots for modern Western tattooing are patently untrue, and I spent some time tracing the origins of the myth in mid-20th-century secondary sources (mostly glossy popular publications that were then used as sketchy sources by certain late-20th-century academics).